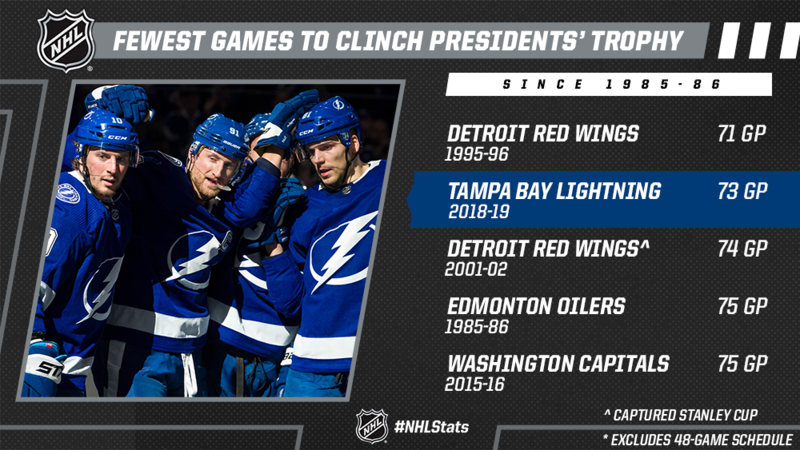 * The Lightning earned the first Presidents’ Trophy in franchise history, requiring the second-fewest games of any team to capture the award. 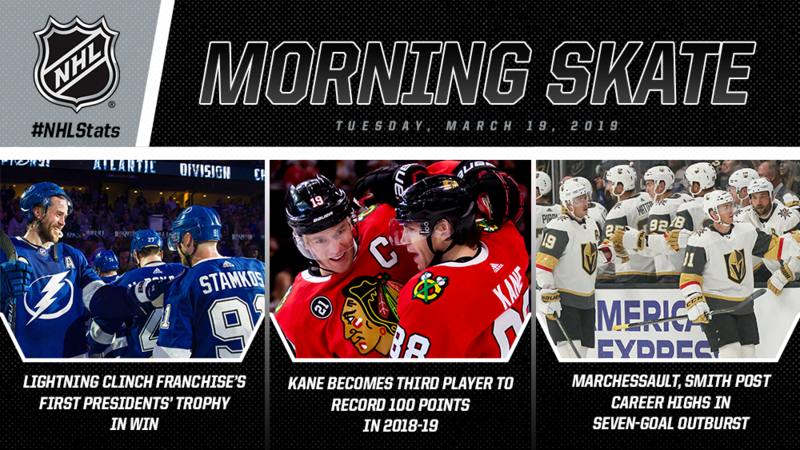 * Patrick Kane collected two assists to join Nikita Kucherov and Connor McDavid as the third player to reach the 100-point benchmark in 2018-19. 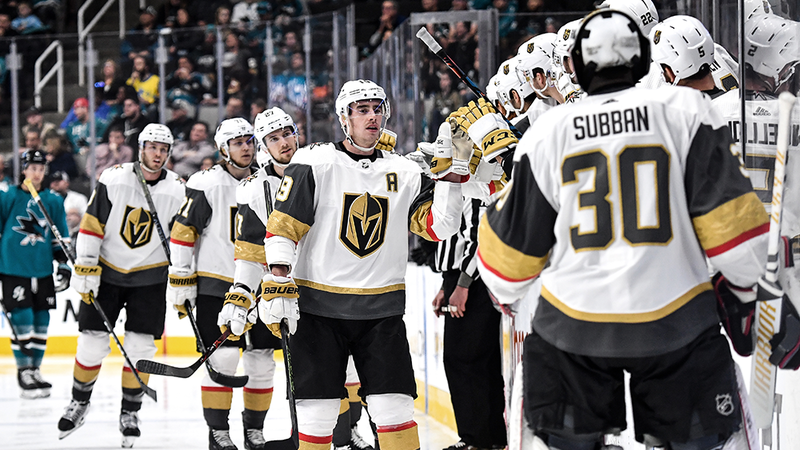 * Jonathan Marchessault and Reilly Smith each collected a career-high four points as the Golden Knights tallied at least six goals for the second time in as many days. 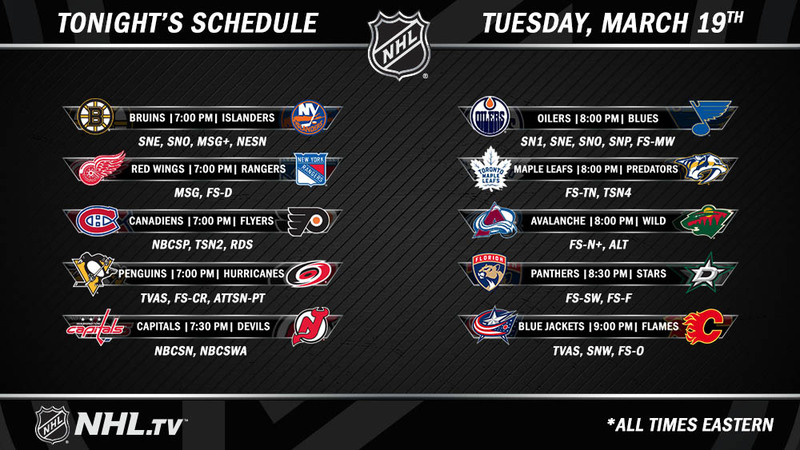 The Lightning (56-13-4, 116 points) defeated the Coyotes to clinch the first Presidents' Trophy in franchise history. 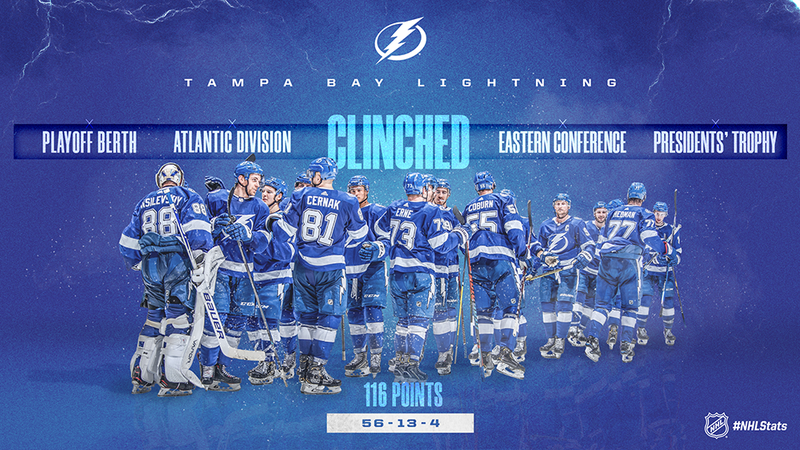 In doing so, Tampa Bay also clinched top spot in the Eastern Conference and Atlantic Division for the third and fourth time, respectively. 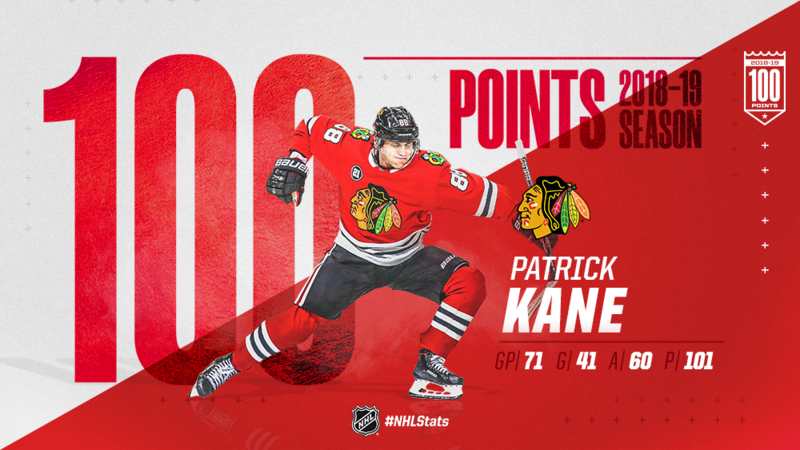 * Additionally, there have been only five instances of a Blackhawks player requiring fewer games than Kane (71 GP) to reach the century mark - a list paced by Denis Savard (57 GP in 1987-88). * Pettersson boosted his season totals to 27-34—61 and established a Canucks rookie record for points in a single season, besting the previous mark set by Ivan Hlinka (23-37—60 in 1981-82) and matched by Pavel Bure (34-26—60 in 1991-92). Additionally, he can become the 31st player in NHL history to conclude a season leading rookies in all three categories (goals, assists and points) and first since Artemi Panarin in 2015-16 (30-47—77 in 80 GP).